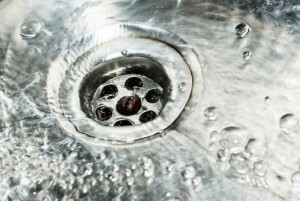 Clean drains are crucial pieces of a properly functioning plumbing system. Clean drains are some of the most important components of an efficient and working plumbing system. At some point or another, your drains will need to be cleaned – something will end up clogging them. Proper cleaning is critical for ensuring that these clogs don’t lead to bigger headaches with your plumbing system. Stay vigilant and be more proactive about keeping your drains clean – here’s why. Every clog will affect your plumbing system in different ways. A small blockage will probably be little more than a nuisance during your morning shower or while you’re using your kitchen sink. However, a larger blockage can become much more problematic. And don’t forget your sewage system – clogs here can be seriously disruptive as your sewage system keeps your toilet pipes flowing. Cleaning your drains regularly can also help you keep your home smelling great. Blockages, especially in your sewer system, can smell bad and the odors are difficult to remove. If you notice that your p-traps are starting to smell, you’ll need to call in a plumber to clean it professionally. Not keeping your drains clean can have an impact on the cleanliness of your home as a whole. A sewer system backup can lead to an overflow, which can turn into a serious hygienic emergency in your home. Most homeowners aren’t even aware that they have any problems with their drains until it is too late, so being proactive now is a good idea. When you call a plumber to check out your drainage systems, they can keep an eye out for other small problems that may cause bigger problems in the future. Getting these little problems fixed now can save you headaches later – not to mention, you’ll save yourself a bit of cash from the bigger fixes and potential damage to your home that may have resulted! This entry was posted on Thursday, March 2nd, 2017 at 4:21 pm. Both comments and pings are currently closed.